5 stars - "Epson Stylus SX210 All-in-one InkJet Printer with CISS" by Brian	, Written on 2012, 17:49/07/09 It prints fast and for me and my friends it's great not to wait. 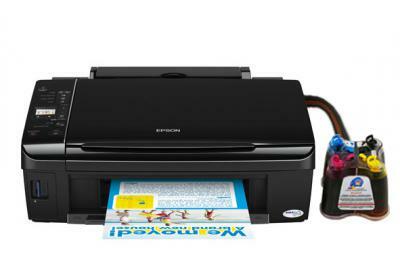 Buy All-in-one Epson Stylus SX210 with CISS and make 30 times more quality prints for the same money! Pay only 0.04 USD for A-4 full color print! It prints fast and for me and my friends it's great not to wait.